Han River or also popularly known as Hangang (한강) is one of the longest river in South Korea, as well as a major river in the country. Aside from its interesting natural existence, Han River is an all time favourite spot for Koreans – as families, among friends, and couples too to enjoy relaxing moments away from busy life in the city. 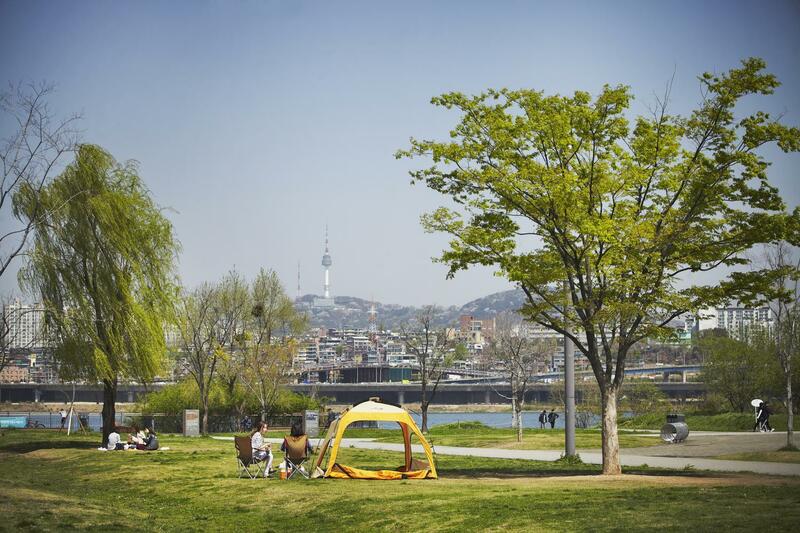 Among tourists, Han River and Han River Park have become popular spots due to the wonderful sceneries and interesting activities that can be experienced. 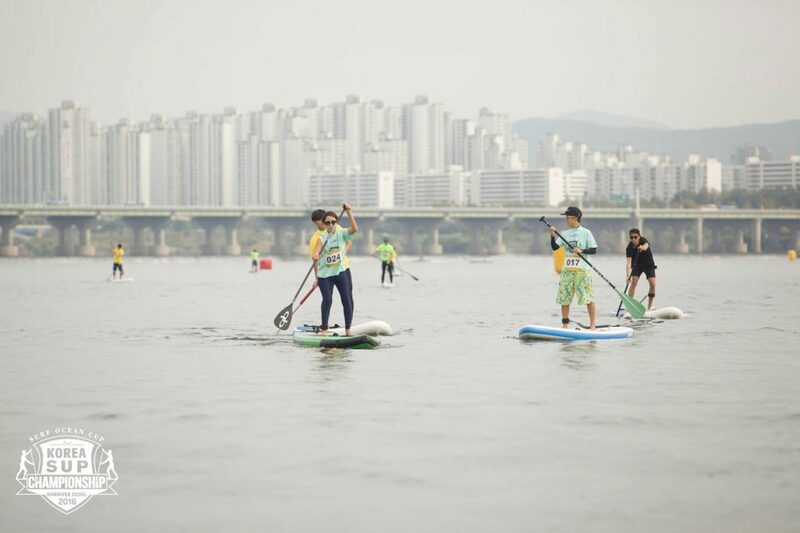 Those with the need of having exciting and bloodrushing activities may try out for various water sports available at Han River. The activities include water ski, wakeboarding, hoverboarding and many more. 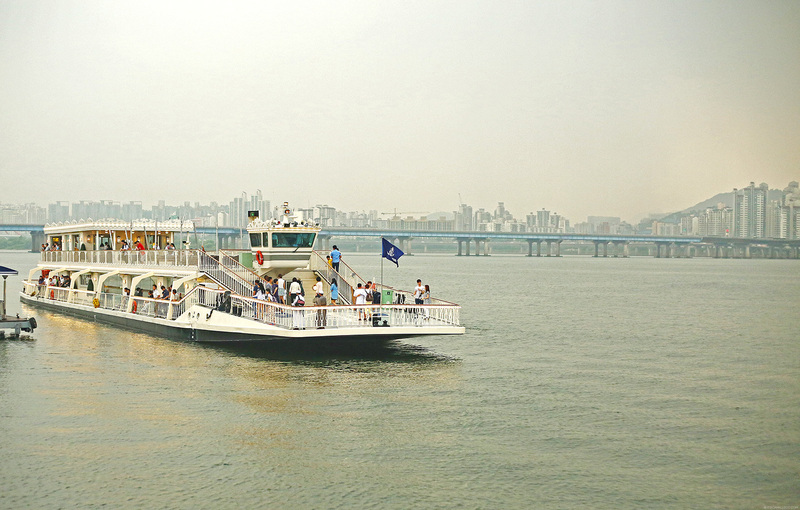 Another one of the best and luxury way to enjoy Han River is by getting into the cruise where it will move through the river showing Han River’s scenery, various small islands, Jeoldusan Park, 63 Square, N Seoul Tower, Jamsil’s Sports Complex, and other famous tourist spots. Not only the sceneries, on deck entertainment usually includes live music performances featuring piano and other instruments. 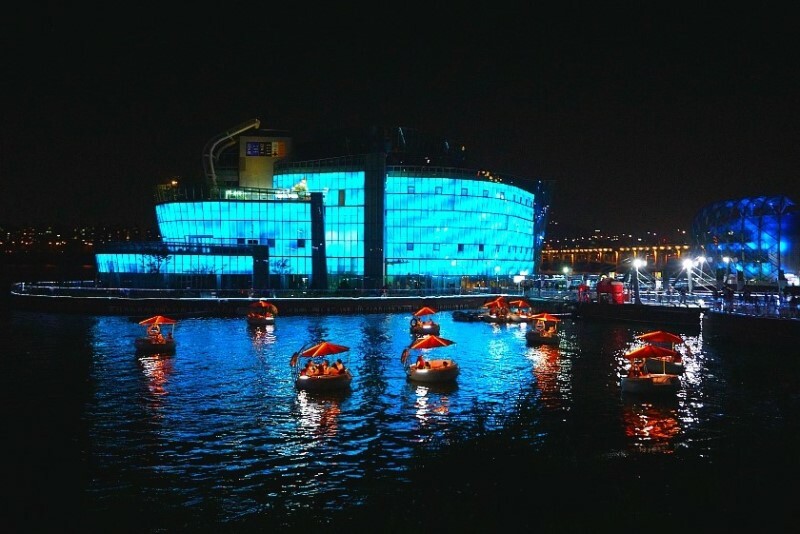 New trend in the recent years includes enjoying the scenery of Han River with relaxed date on a round tube boat that carries you through the river while having a sceneric date. Especially at night, complemented by the lights and decorations, your sip of coffee is much more breathtaking! 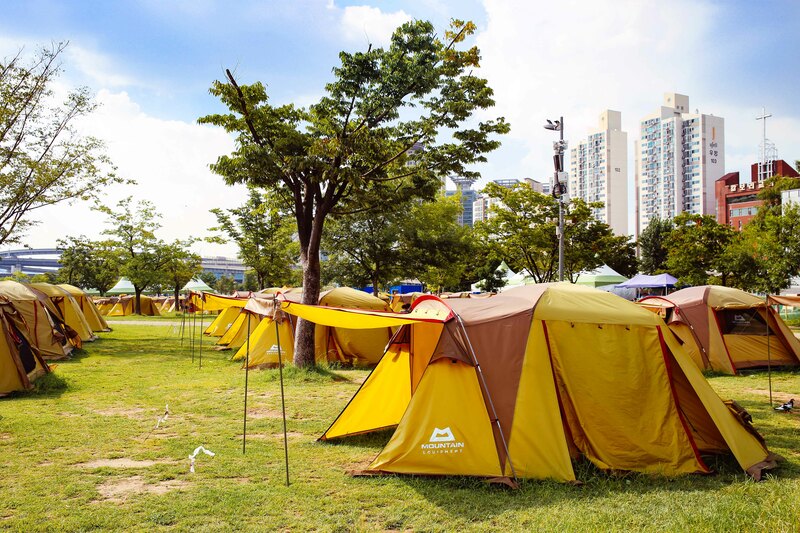 Nonetheless, for those that would like to stay dry and out of the water, Han River Parks are good alternatives and you can definitely enjoy fun moments. It consists of 12 districts in total – Gwangnaru, Jamsil, Ttukseom, Jamwon, Banpo, Ichon, Yeouido, Yanghwa, Mangwon, Seonyudo, Nanji, and Gangseojigu. 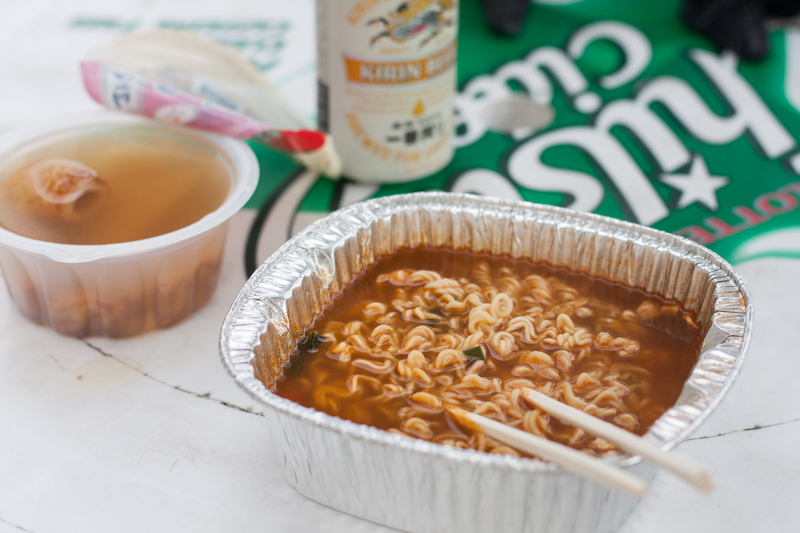 Picnic and camping at Han River Park is special and different from other parks as it is a popular trend to enjoy the moment by eating “Han River Park’s ramyeon.” Visitors can purchase the instant noodles at convenience stores by Han River that are sold in throwaway foil bowls. The Han River Park’s ramyeon is special from other places as it is boiled on electric stoves designed specifically for ramyeon and you can customize your ramyeon with other things such as eggs, sausages, ham,and cheese too! 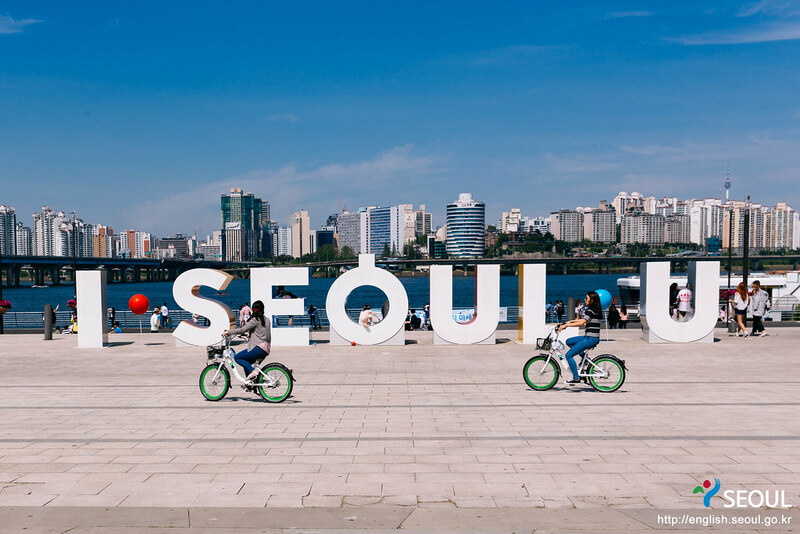 Last but not least, fans of Korean drama might be very interested to enjoy bike riding along Han River as it is seems to be a popular romantic scene. Visitors may rent bikes through several rental stations along the river which is usually approximately 3,000 win per hour. Getting on couple bike is the going to be memorable as you take in the view of spectacular scenery of Han River. Seoul city has build several pools along the river. 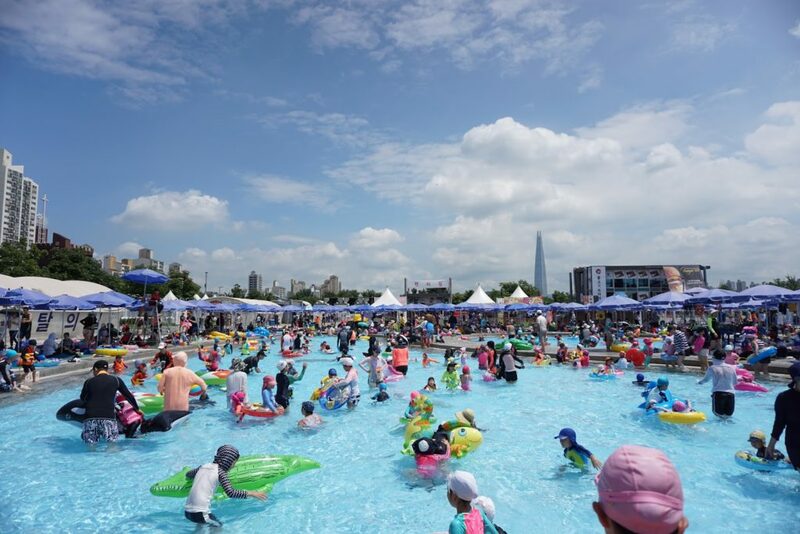 Han river’s outdoor swimming pools will be open for the summer. The pools are located at Ttukseom, Yeouido, Gwangnaru, Jamwon, Mangwon, Jamsil, Nanji, and Yanghwa. This entry was posted in etc., Spot and tagged Han River.